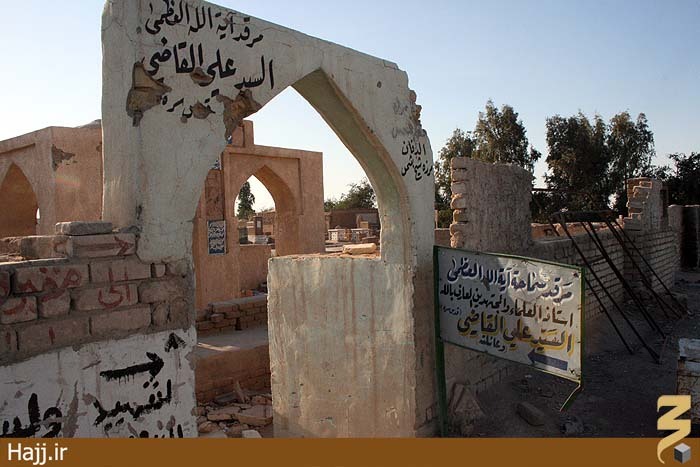 Marhum Qadhi was a scholar of the highest calibre in Najaf in the last century. He taught akhlaq, aqaaid and ‘irfan, and was also well versed in falsafah and fiqh. Many great scholars of the previous generation were his students. He had a special status and piety, which enabled him to perform many miraculous acts. 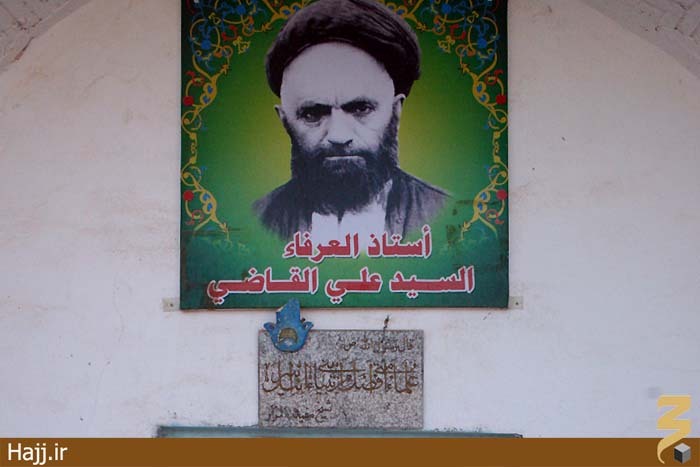 Ayatullah Sayyid Mirza Ali Tabatabai, famously known as Qadhi (1282 - 1366 AH) was born in Tabriz in Iran. He completed his basic hawza studies in his hometown, and then at the age of 28, migrated to Najaf to learn from the great masters who taught him in the shadow of the haram of Imam Ali (A.S.). In time, Sayyid Qadhi excelled in fiqh, usul, hadith, tafsir and akhlaq and distinguished himself as one of the most sought-after instructors in Najaf, especially in the fields of akhlaq and ‘irfan. He wrote several books, including a partially completed tafsir of the Qur’an, which is a commentary up to verse 91 of Surah al-An’am. Several of the top ranking ‘ulama and maraje of the last generation were his students, including: Grand Ayatullah Behjat (may Allah prolong his life), Grand Ayatullah Zanjani (may Allah prolong his life), Grand Ayatullah Khui (R.A.), Grand Ayatullah Najafi Mar’ashi (R.A.), Grand Ayatullah Hadi Milani (R.A.),Allamah Tabatabai (R.A.), Shahide Mehrab Ayatullah Dasteghayb (R.A.), Sayyid Hashim Haddad (R.A.) and many others. In the days when Ayatullah Qadhi was in Najaf, Ayatullah Khui came to him and requested, “I would like you to instruct me in some matters.” He (Ayt. Khui) probably meant ‘irfan and Divine gnosis and Spiritual Exercises. Agha Qadhi gave him some special spiritual instructions which Ayatullah Khui faithfully followed. Source: “Karamaat-e Ma’nawi” - “Spiritual Miracles” p9 &10. Translated AJ/071205. 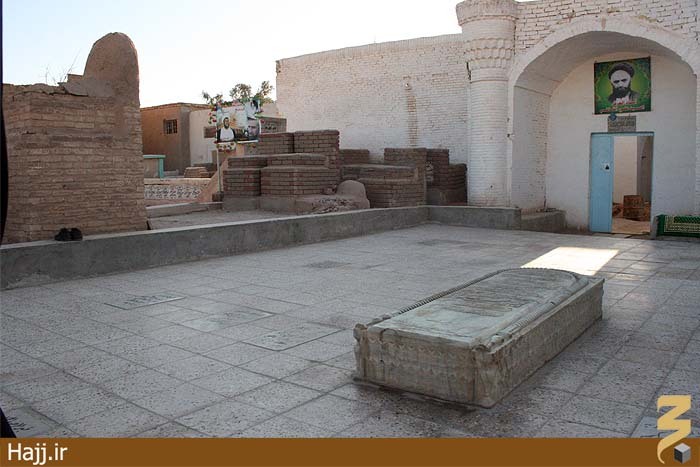 Marhum Qadhi was a scholar of the highest calibre in Najaf in the last century. He taught akhlaq, aqaaid and ‘irfan, and was also well versed in falsafah and fiqh. Many great scholars of the previous generation were his students. He had a special status and piety, which enabled him to perform many miraculous acts, some of which his students have described. We began a discussion and Marhum Qadhi related some matters about the secrets and signs of Allah swt, the definition of tawhid, the importance of pondering deeply on this subject and the fact that this is the true and the only purpose of man’s creation. The talk continued until the call for prayers came. Suddenly, I saw a large snake came out of its lair and began to slide next to the wall of the mosque, coming towards us. There were many snakes in that region, and people would often see them, but they did not usually attack anyone. However, this snake came right next to us, really frightening me. I noticed that immediately Marhum Qadhi pointed at it (the snake) and said, “mut, bi idhnillah” – i.e. “die, by the permission of Allah!” To my utter surprise, I saw that the snake immediately withered away and died. Then without even pausing for a moment, he concluded his comments and then we stood up to attend the prayers. Marhum Qadhi recited his prayers in the mosque and then retired to a side room where he used to engage in worship. I also performed some a‘mal, and then decided to return to Najaf. Before I left, a thought passed in my mind, “was the snake truly dead or had this man somehow tricked me, as some magicians do?” I decided to go and examine the snake to see if it was actually dead. I went out and saw that it was exactly in the same place, dead & dried up. I pushed it to check - it did not move. I became ashamed of my doubts and returned to the mosque to continue with prayers, but I could not concentrate. This was Marhum Qadhi, who not only was able perform miracles like Prophets, but was also able to communicate with ancient creatures in their own languages. May Allah swt’s peace and blessings be on him and on all our Ulema, (Ameen). Source: “Karamat wa Hikayate Ashiqane Khuda” - “Miracles and Anecdotes of the Close Servants of Allah”, p40 & “Mehr-e-Tabaan” – “The Radiant Sun”, p373. Translated AJ/301105. 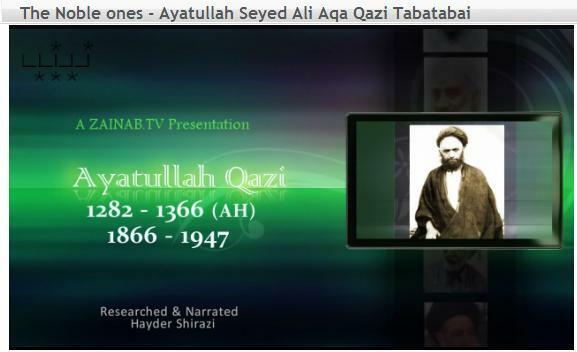 (Ahlul Bayt News Agency) - Ayatollah Sayyed Mirza Ali Tabatabai, also known a Allamah Qazi (1285 - 1366 AH; 1869-1947 CE), was an Iranian Islamic scholar. He was the son of Ayatullah Sayyed Hussein Qazi, and was born in Tabriz, Iran.He wrote several books, including a partially completed tafsir of the Qur'an, which is a commentary up to verse 91 of Surah al-An’am.His teachers in (Shia) Spiritualism (عرفان شیعی) were Ayatollah Sayyed Ahmed Karbalai and Sheikh Mohammad Bahari, who in turn were the students of Mirza Mulla Hussein Qulli Hamadani. Mulla Qulli was himself the student of Haj Sayyed Ali Shustari.